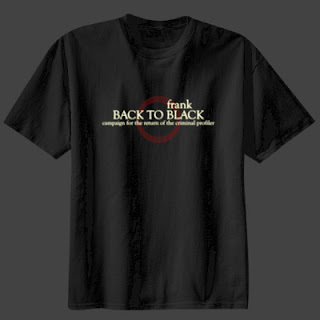 BACKTOFRANKBLACK.COM: Official Campaign T-shirts now available! So, show your support for Back to Frank Black. Head on over to this link or click the t-shirt button on our website and order your t-shirts today! They would make a great Christmas gift! Remember, 100% of any money that we make goes right back into the campaign. The money is used to pay for prizes, postage, promotions and so on. 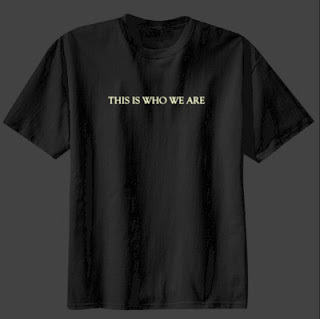 4 Responses to "Official Campaign T-shirts now available!" Ah, thought that was the front and back of a single shirt at first. The design looks great, but I think having the BackToFrankBlack design on the front and the words This Is Who We Are on the back would be pretty cool. Crow..thanks for the feedback...the back of the TIWWA t shirt has backtofrankblack.com on it. If you print something on the back, it increases the price of the shirt. We want to keep them reasonably priced for everyone. We may change it in the future though..
Good to know, Troy. With that in mind, I think you guys made the right choice.